The investigator charged with probing Elizabeth Wettlaufer's ability to continue nursing when she was fired from a Woodstock, Ont., long-term care home heavily relied on a letter written by the disgraced nurse's lawyer to assess her mental health and addictions problems. College of Nurses of Ontario investigator Karen Yee said she looked at Wettlaufer's case file from 1995, when, as a young nurse, Wettlaufer stole narcotics from Geraldton District Hospital and tried to kill herself. Yee was drafting an assessment how to proceed with Wettlaufer's file after she was fired from Caressant Care long-term care in Woodstock for making medication errors in 2014. That file included Wettlaufer's medical records and interviews with doctors to whom she confessed using street drugs. But the wording Yee used to report what she found was almost identical to the wording from just one paper in that file, a letter from Wettlaufer's lawyer saying the overdose was a one-time situation and didn't mean the nurse was a habitual drug user. Yee came under fire for not probing deeper on several aspects of Caressant Care's termination report to the college, including asking further questions about which medications were involved in errors made by Wettlaufer. When Caressant Care contacted the College of Nurses, it did so more than a month after firing Wettlaufer. That signalled that the issue wasn't urgent, Yee testified. Despite emails between Caressant Care executives that characterized Wettlaufer as a danger to resident safety, those concerns weren't conveyed in writing or in a phone call between Yee and the nursing home's director of nursing. "The nature of nursing practice is very busy and when I assessed [her medication errors], I knew it was not uncommon for a nurse to make medication errors," Yee testified. "These are common errors." If the director of nursing had told her there were concerns about resident safety, Yee said she would have followed up further. Instead, she ruled that Wettlaufer didn't need censure, but rather remedial work. Wettlaufer was asked to review her professional obligations on a website. There is "no existing methodology" to identify a health care serial killer, the head of Ontario's nursing regulatory body told the Wettlaufer inquiry in St. Thomas. "We looked at the literature that could inform our processes and our risk assessments, and the literature was clear. There isn't an obvious checklist or indicator to detect a health care serial killer," said Anne Coghlan, executive director and CEO of the College of Nurses of Ontario. "We looked at risk factors, and if there were any potential risk factors, and we learned it's not possible to catch health care serial killers. There is no existing methodology to identify a health care serial killer." Coghlan was testifying at the inquiry examining what problems in the long-term care system allowed Wettlaufer to commit her crimes. 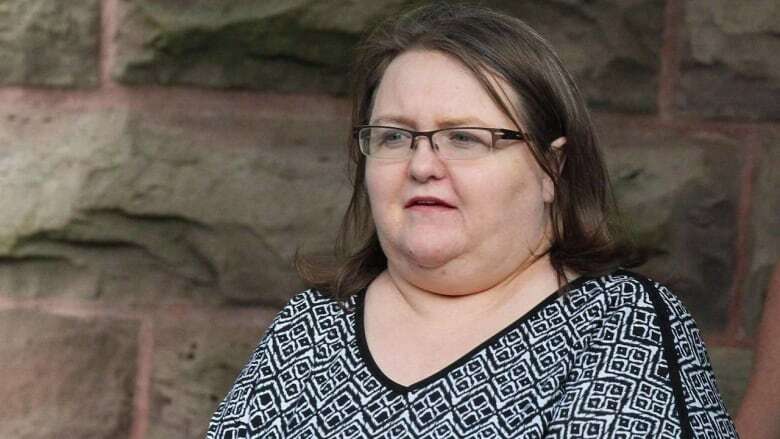 Wettlaufer killed eight of her patients and tried to kill six others over almost a decade. She confessed her crimes to a psychiatrist and was sentenced in June 2017 to eight concurrent life terms in prison. Coghlan said in cross-examination by a lawyer for the Ontario Nurses' Association that there were many problems with how Wettlaufer worked. "I saw a pattern of sloppy practice, an individual who was not responding to her employer's attempts to educate her. There was no trend in the type of incidents that she engaged in." The nurse made inappropriate sexual comments to residents and staff, many medication errors, and performed medical procedures in a way that was below the professional standard, Coghlan said. Wettlaufer also lied on job applications and her registration with the college about her work history and problems with drugs, alcohol and mental illness, she said. Coghlan was asked by nurses' union lawyer Kate Hughes: "We've been gong through this evidence in hindsight and with a fine-tooth comb. You've gone through all the information as well. Were there any clues that you could see that this person was engaging in acts of murder, let alone serial murder?" Coghlan responded: "No. I and my colleagues at the college have looked at this very closely to see if there were any clues, and we are confident that there weren't any clues that were missed. There were no clues." The public inquiry began in June and is expected to last until September.